I don’t often decorate for winter. 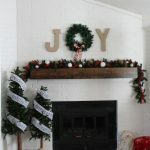 Typically our home goes into basic décor mode after Christmas and stays that way until fall. Ha! 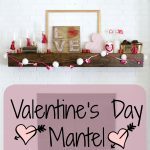 Great home décor blogger huh? 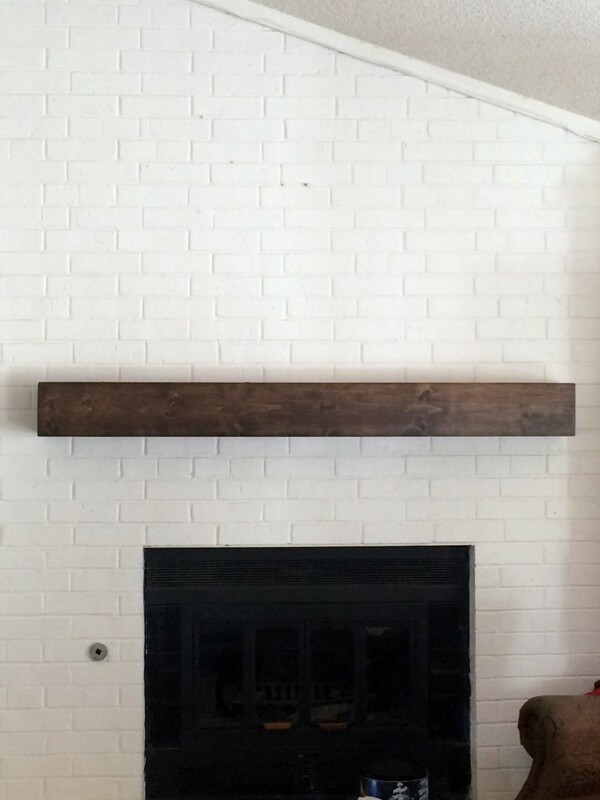 This year I took down Christmas and my mantel sat blank for a week. But then, the after-Christmas-winter blues started creeping in and something had to be done. 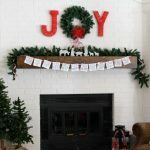 The kids went back to school (for a day – that’s a whole ‘nother story), and I got inspired to dress up the mantel for winter. I had big plans in my head, most of which included buying things, and then making things. However, on this morning, I found myself without a car. (we are one car short when all the college kids are home since Boston boy doesn’t have a car at college) So, I was forced to use what I had, or wait. Patience is not my strong suit peeps. So, I accepted the challenge and started shopping the house. And, surprise! I found everything I needed! If you watch Instagram stories, you saw my adventure with Bar Keeper’s Friend and polishing up my thrift store brass finds from a few months back. 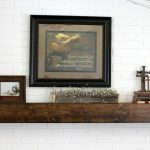 They all found a place on the mantel. 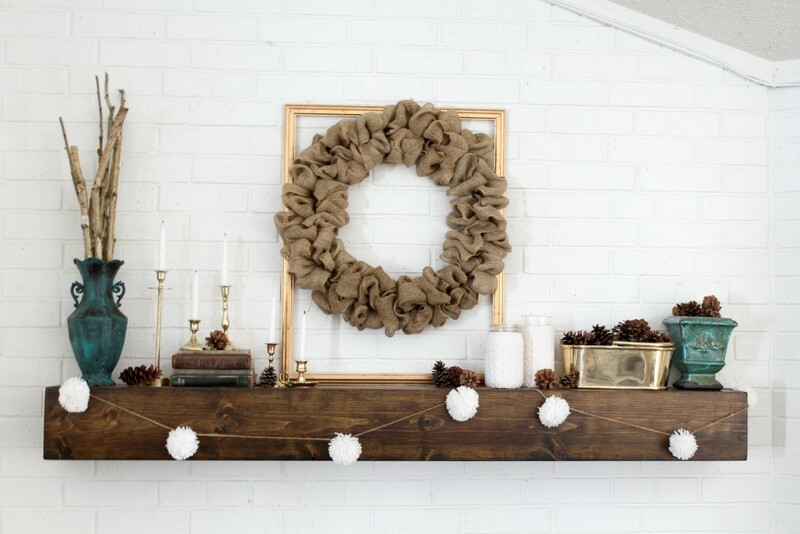 I used an empty frame and my trusty burlap wreath to anchor things. 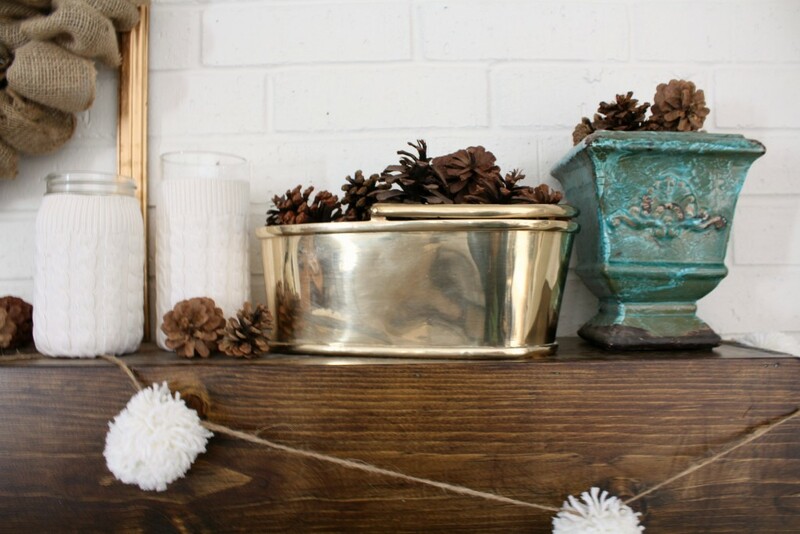 I bookended everything with some turquoise vases filled with sticks and pine cones. And then I got a tiny bit crafty. MY FAVORTIE!! 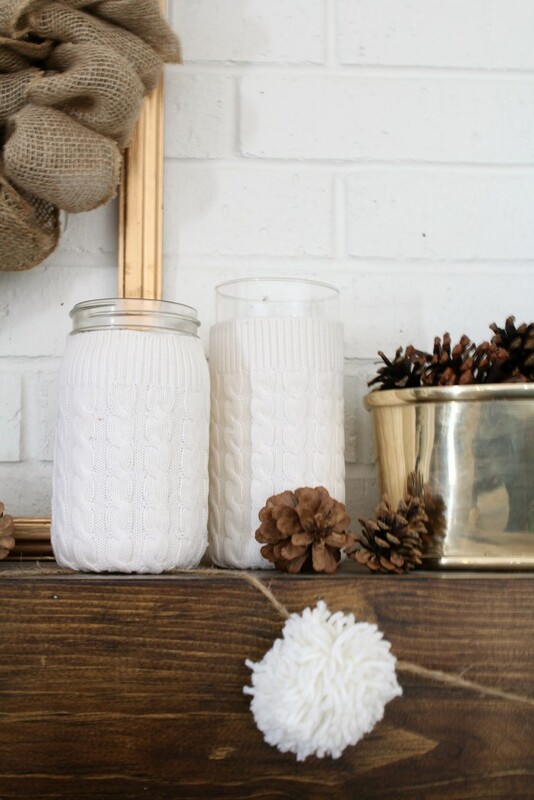 I found some white yarn and made some pom poms while watching TV (what I wanted since the kids were at school), and I used the arms of the thrift store sweater (leftover from my DIY pumpkins) to dress up a glass vase and a mason jar. 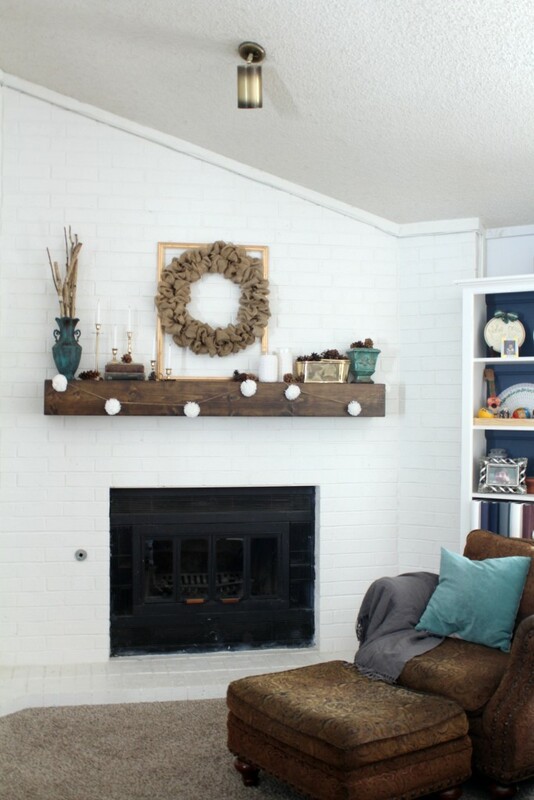 I tied the pom poms onto a piece of twine for an instant ‘snowball’ garland, and there you have it – a winter mantel! 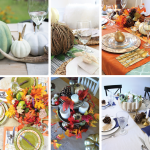 I am loving the neutral vibe with just a splash as color and shine. Whatever your state, I say enjoy what you’ve got. Be thankful and JOYful! 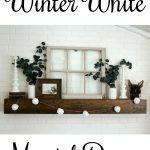 I LOVE your winter mantel! 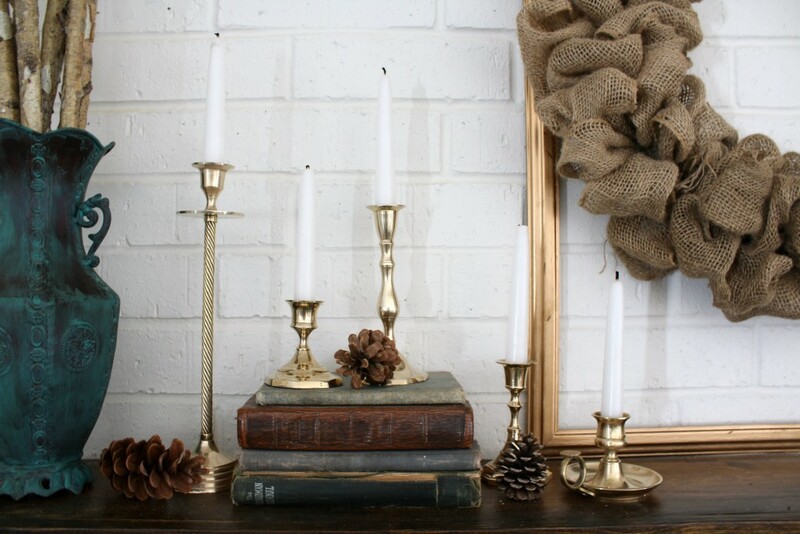 So many natural elements… and SO cozy! Thank you for sharing it at the Creative Gallery!